Electronic readership is on the rise, but the look and feel of a physical book or magazine is unparalleled. The reading habits of adults in the U.S. have stayed steady for the past several years and consumers enjoy reading physical copies. This means that retailers can still capitalize on this industry by grabbing the attention of readers nationwide. Many of us can relate to scanning titles and flipping through magazines in grocery, convenience and discount stores. Tusco’s custom book and magazine displays are created with that experience in mind. The retail environment is crowded with competition. With so many products competing for attention, book and magazine displays are a great way to capture interest and chase the coveted impulse purchase. Curating an experience that feels familiar to browsers goes a long way. An enticing, well-designed display can help convert browsers into customers. Does your current display make a good first impression and attract customers? Can your customers clearly differentiate displayed products? Can your customers understand your value proposition without much effort? Is your display positioned optimally for the flow of traffic? Is your messaging simple and compelling? Ideally, displays are well organized and designed to be browsed, with clear labels to guide your customers to the titles that interest them. Your customers should be able to look at your stand or display and have a pleasant browsing experience. When your display is aesthetically pleasing and perfectly placed to complement the flow of store traffic, you can better move the titles and magazines in your inventory. If your current display leaves any of the above to be desired, you may be losing out on sales. 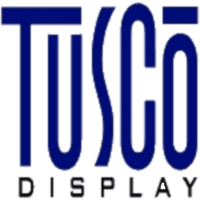 Tusco can help you customize your displays and capture lost sales? Our experts can guide you through the process of custom display, from ideation to the final placement in your storefront. Contact us today or call us at 740.206.8298 and we’ll help you get started.